In the 1960’s a car was made that has righty become to be thought of as the epitome of cool and style. Its lines were sleek its look continental but with a refinement that was British to the core. It also had the guts of a Jaguar engine that had been tested out on the race track in the D type competitively. 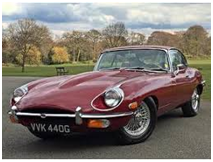 It was the Jaguar E type and it is still regarded as a design classic and is regularly called the most beautiful car in the world (and that by the founder of Ferrari!) It’s one of the many brilliant Sportscar Lap trays that is available at https://personalisedlaptrays.co.uk/collections/sport-lap-trays. With the current average of about seventy grand for a used one that might be the closest, we’ll ever get. “Someday, somehow” the advert read with a group of schoolboys looking on enviously at an E type sliding by/ It was the car that everyone promised themselves that they would own and when it first came out it was quite an affordable. A young Quintin Wilson, pre Top Gear presenting fame said who when he brought one home his Mother thought he had paid a fortune and also lambasted him for a car that would give people the wrong impression about him, which was music to his ears. 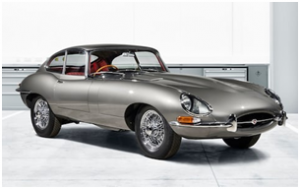 Recognising that the British public wanted something different from the safe box-like cars on the market Jaguar launched the E type on to the market to great applause. The British were tired of seeing the fancy America muscle cars and the glorious Porsche and Ferrari’s being produced by their wartime enemies with such great aplomb. They needed something iconic and home-grown. The car benefited from being designed by Malcolm Sayer. Sayers background was in the design of aircraft and he applied this to the aerodynamic sleek lines of the E type. Sayers relied heavily on mathematical principles of aerodynamics to influence his designs. So, when you see an E type you are seeing a triumph of figures and calculations. It also enabled the interior of the car to carry the engine at the front in a subframe as opposed to the ladder-frame design which was used mostly at the time. It meant that the car was considerably lighter and when you combined this with a top speed of one hundred and fifty miles per hour the results are the spectacular automobile we see today.